Pulitzer Prize-winning historian David McCullough introduces Our White House: Looking In, Looking Out, a creative tour de force, in which 110 renowned authors and illustrators have donated their poetry, prose, and art to help advance the cause of young people’s literacy and historical literacy. The book’s content—illustrations, essays, short stories, presidential letters, personal reflections, and historical accounts—inform and entertain, offering a window on more than two hundred years of American history. It is our hope that adults will share Our White House: Looking In, Looking Out with the young people they live with and work for, not only to rouse their interest in our nation’s heritage, but also to energize and inspire young people on their journeys to becoming our nation’s future leaders. To learn about awards, citations, and reviews for Our White House, click here. 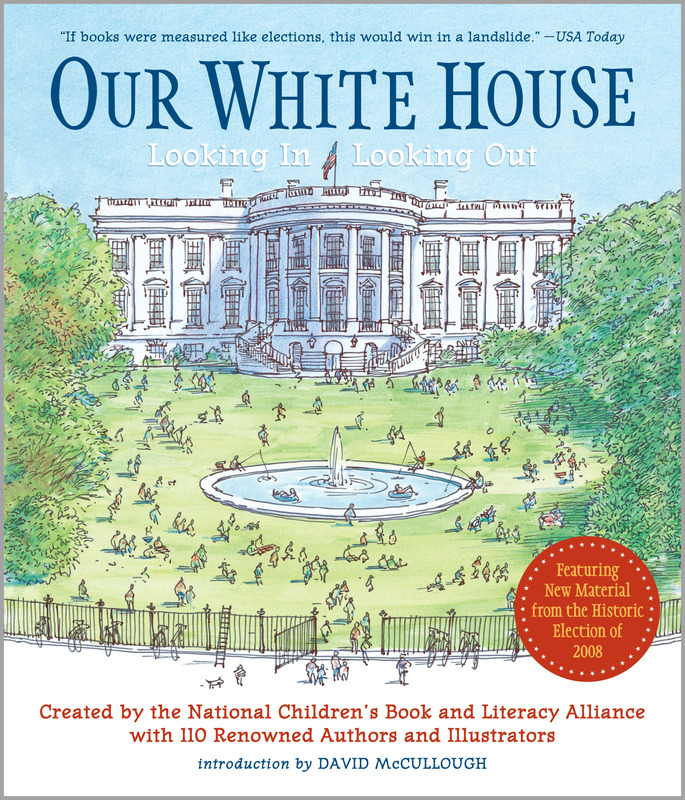 You can find Our White House: Looking In, Looking Out at your neighborhood library or bookstore. To order a copy from an online bookseller, click here. On the following pages, we examine more closely the intriguing poetry and prose, as well as the extraordinary original art, in Our White House: Looking In, Looking Out with additional primary source material, informative essays, and contributor information. Also included are easy-to-print education resource guides that provide discussion questions, activities, and research resources. Click any title to display the contents of that section of the book and corresponding links to supplemental material available on this site.